Christopher Grabowski joined the faculty as Director of Theatre in 1994 where he has directed more than 25 productions in the Experimental Theater. Prior to coming to Vassar he was the Associate Artistic Director and Literary Manager at the New York Theater Workshop. In addition to his ongoing relationship with NYTW, Christopher continues to work extensively beyond the college and is a guest artist at The Academy for Classical Acting at The George Washington University/Shakespeare Theater of Washington, where he specializes in the direction of Jacobean Tragedy. He has directed new and classical work for The Yale Repertory Theater, Shakespeare/Santa Cruz, the Denver Center Theater Company and most frequently for the Portland Stage Company in Maine. He has also directed numerous projects for National Theater Conservatory, The Stella Adler Conservatory. NYU Graduate Acting Program, The Juilliard School, and the NYU Graduate Musical Theater Writing Program. Christopher has a BA in Theater Arts from the University of California, Santa Cruz and a MFA in Directing from the Yale School of Drama. 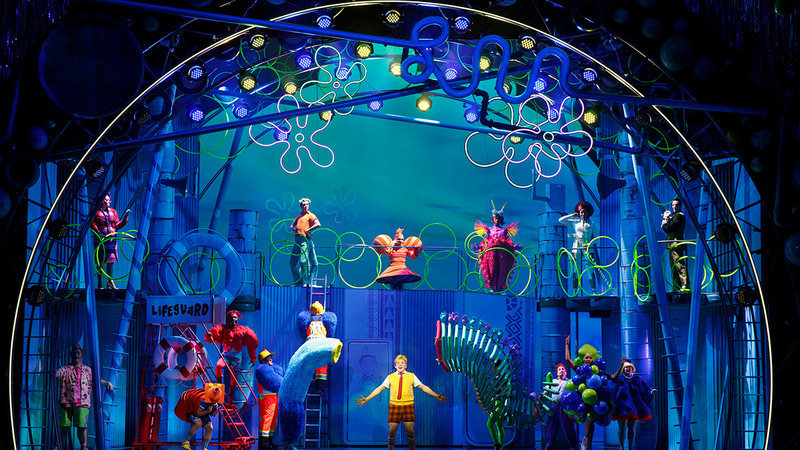 Re-united in a show for the first time since they acted together at Vassar, Ethan Slater ’14 and Lilli Cooper ’12 are headliners of the Broadway cast of SpongeBob SquarePants, a rollicking tribute to the beloved Nickelodeon character who has been entertaining millions of young fans since 1999.